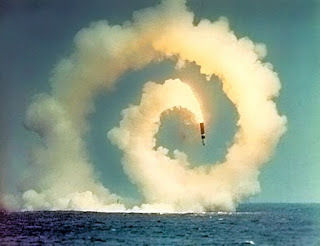 Editor's Note: This just in from the Russian media (as if we didn't know already) - Congress will be sure to find the money to build the full complement of 12 new ballistic missile submarines currently in research and development by the Navy. Of course, they are doing it outside the normal budgetary process so as to not sink the Navy's shipbuilding budget. What that old expression about having their cake and eating it too??? Of course, Congress is being soooooo fiscally responsible these days in its slashing of unnecessary spending - like cutting food stamps, deeper cuts to Medicaid, ending the Affordable Health Care Act's subsidies, and that's just for starters. Of course those tax cuts for the 1% are absolutely critical to get the economy jump-started!!! After all, many of those one percenters are running the huge weapons makers like General Dynamics, whose Electric Boat division will likely end up profiting handsomely from its contract to build the Navy's new ballistic missile subs. The problem is that subsidizing huge weapons makers is NOT the kind of economic stimulus the country needs. 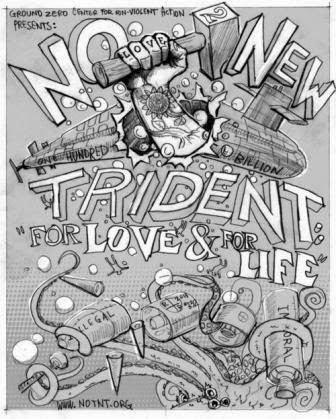 And in the case of New Trident, it's something the world does not need. 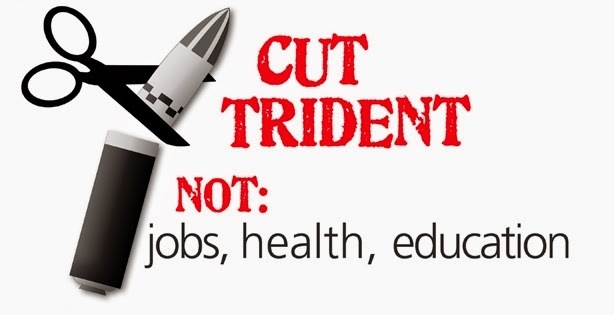 The continuing deployment of Trident and plans for a new generation sends a clear message to the Russians that they need to keep up with the US, and that is just what they are doing. So while the US and it's nuclear dance partner keep playing this dangerous game, other nations are also upgrading their memberships in the nuclear club. And that's definitely NOT good!!! Earlier in March, media reported that the US Navy and Congress had not managed to find the funds to pay for the procurement of the Ohio Replacement Program, in charge of replacing the aging Ohio-class submarines with 12 more advanced subs. MOSCOW (Sputnik), Alexander Mosesov — Procurement funding for the US next-generation strategic nuclear submarine will start in 2017 as expected, despite earlier media reports claiming the funds have not been found yet, a US Navy spokeswoman told Sputnik on Wednesday. Compared to its predecessor — the third-generation Ohio-class strategic nuclear submarine, which was built from 1976 till 1997 — the fourth-generation replacement submarine is expected to feature fewer launch tubes, state-of-the-art sonar, optical imaging and weapons control systems, a new electric drive and a nuclear fuel core able to power the ship for its entire service life. "[Advanced] procurement for the Navy's top programmatic priority, the Ohio replacement program, begins… in fiscal year 2017 and leading to the procurement of the first boat construction in fiscal year 2021," Nicole Schwegman told Sputnik. The first replacement submarine is expected to cost $12,4 billion, including $4,8 billion in design and engineering costs and $7,6 billion in construction costs. The first submarine is expected to enter service in 2031. As of 2015, Russia is the world's only country with fourth-generation strategic nuclear submarines in service — the Borey-class submarines, which are to become the mainstay of the naval component of Russia's strategic nuclear deterrent.